You only regret the things you don’t do! As a deviation from our usual schedule, in September this year, Steve will be guided, instead of guiding! 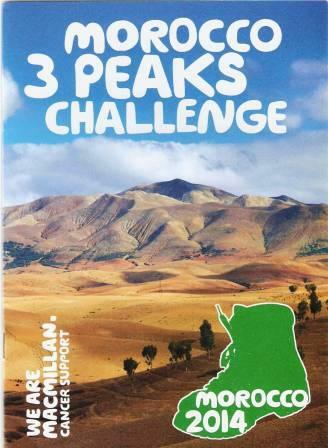 He’s taking on a sponsored Trek in aid of Macmillan Cancer Support in UK and will be led up 3 high altitude peaks (4000+ metres!) 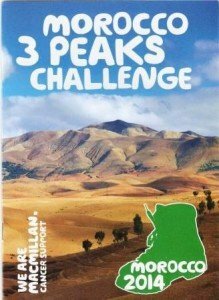 on the Morocco 3 Peaks Challenge. It’s going to be hard – but it will be great motivation in between guiding commitments this year, to get out and explore some of the wonderful countryside around the VezereValley – something we always say we’re going to do, but rarely do. Why has he taken on this challenge? 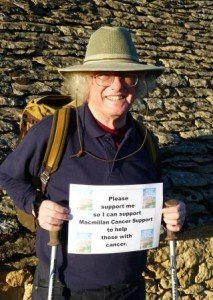 In 2012 Steve’s eldest brother died of cancer and was helped enormously by the Macmillan organisation in his brother’s home area of Lancaster. Through them, Keith spent his last weeks in the most caring hospice – they made his passing as comfortable as possible and the staff there were also supporting of Steve and his niece, understanding what they were going through. So for this reason, Steve wants to do something for Macmillan. Plus, Steve and Keith were planning to take a trip together to the Atlas Mountains – Keith was a keen walker/climber and not long before he died did a trek to Everest Base Camp and Annapurna – so it’s for that reason too. This certainly will be a challenge for Steve! 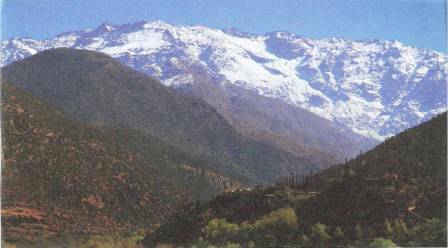 The High Atlas Mounts of Morocco stretch 450 miles from the Algerian border to the Atlantic Ocean and are home to the three highest peaks in North Africa – Toubkal, Ouanoukrim and M’Goun. Steve, along with the rest of the group will be tackling all three. The scenery is diverse – from beautiful valleys and fascinating rock formations to scree slopes and barren rocky peaks. The views will be spectacular across the desert and mount landscape so the climbs will be well worth it. It will be hard, but every step will be helping support people living with cancer, during the toughest fight of their lives. Macmillan is a source of support, helping with all the things that people affected by cancer want and need. They provide practical, medical and emotional support through their range of nurses, doctors and other health professionals, cancer care centres and information and support services. Financially things can be tough for cancer sufferers and Macmillan also give advice on benefits and grants. Keith was a man of wise sayings, one of which was “you only regret the things you don’t do”. 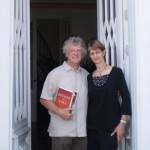 Since we moved to France, Steve and Keith had talked about walking in the Pyrenees – but us being busy with Caves & Castles Tours and Keith working and travelling to Japan, Australia and New Zealand for much of the year, the plan never came together. Steve certainly regrets that he and Keith didn’t take one last trip together and this is also why he is taking on the trek in Keith’s memory. If you’d like to support Steve in his endeavour to support Macmillan and through them, those with cancer, please follow this link – every euro, pound or dollar with make a huge difference.